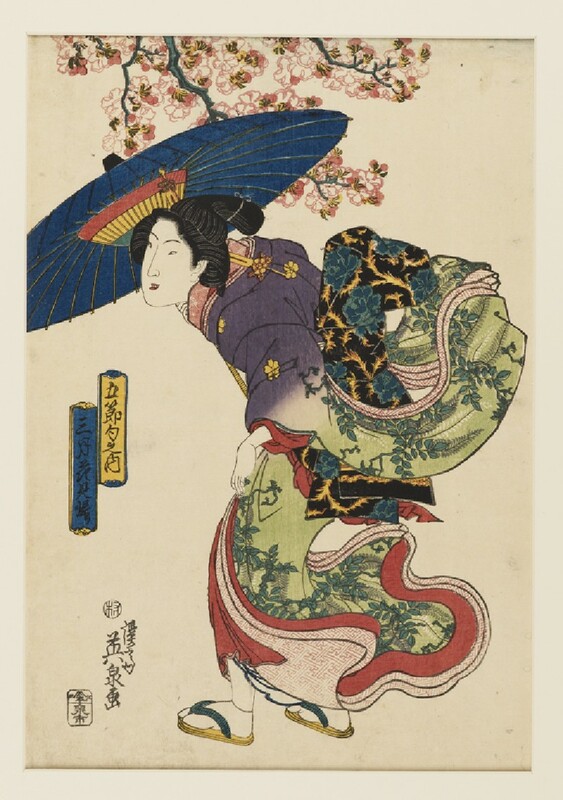 A beauty with a parasol returning from the flower festival which was called momo no sekku (the peach festival), walks into the wind, in front of a peach tree. 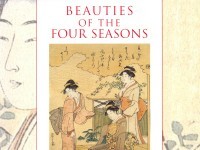 Her kimono, with a design of wisteria, blows behind her. For the Go-sekku festivals, see [EAX.4099]. On a windy day, a woman returns from the flower festival, which was known as ‘momo no sekku’ (peach festival). The flowers in the background are peach blossom. There were five main festivals in the year, of which the 3rd March is celebrated to this day, to pray for the healthy growth of girls.